Český Krumlov Castle is a 1200’s Renaissance castle on the bank of the Vltava River overlooking the Old Town when you visit Cesky Krumlov. 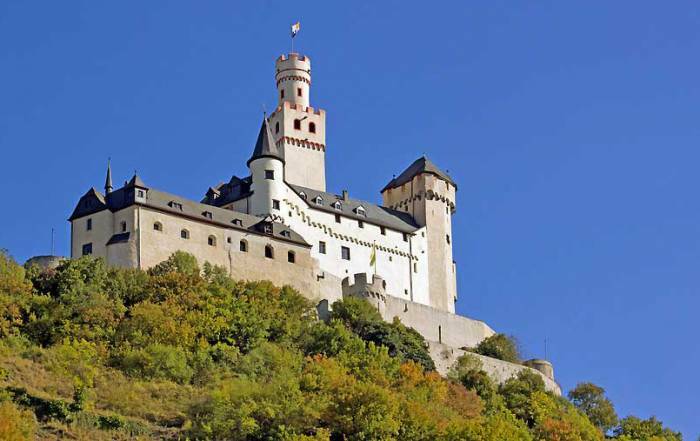 Tour the castle’s rooms, galleries and Baroque theater. 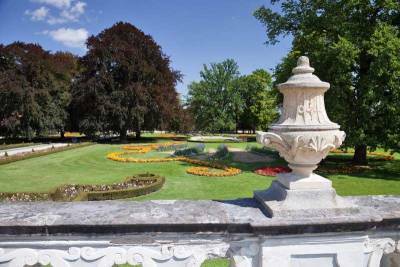 Areas to visit include the Castle Tower, the Revolving Auditorium, the Castle Museum, the Mint, the Dairy, the New Burgrave´s House, the Bear Moat, the Cloak Bridge, the Upper Castle, the Castle Riding School and the Castle Gardens. The former St Jost Church now houses the Marionette Museum between the Castle and the access bridge over the Vltava River. Svornosti Square is the center of the Old Town, just below Cesky Krumlov Castle. The square includes the Plague Column and just off the square is St Vitus Church. 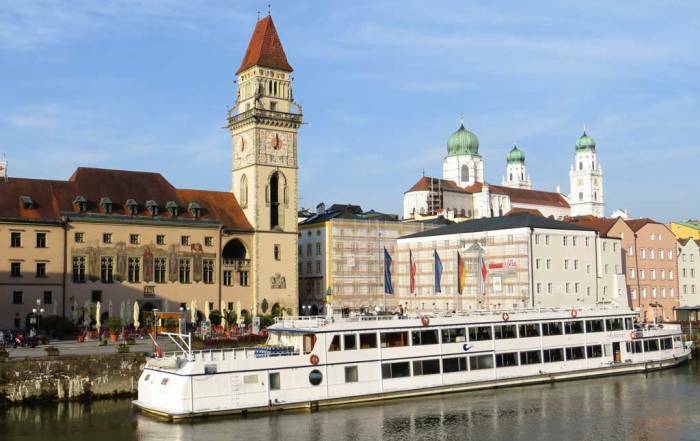 In the Old Town, see the works of native born Viennese painter Egon Schiele at the Egon Schiele Art Centrum and also visit the Moldavite Museum. Nearby is the photography Museum Fotoateliér Seidel, the Regional Museum and the Municipal Theater. 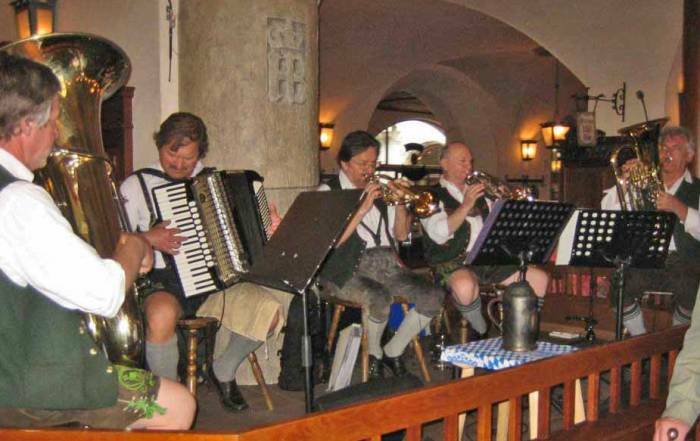 Eggenberg Brewery – take a tour of a famous local Czech beer. 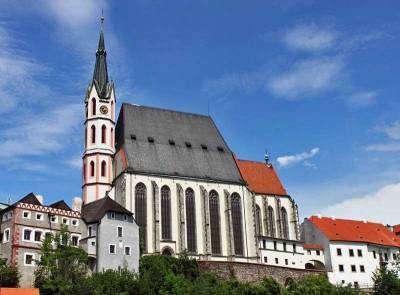 Graphite Mine – take a tour inside a graphite mine and learn about its historical importance to Cesky Krumlov. 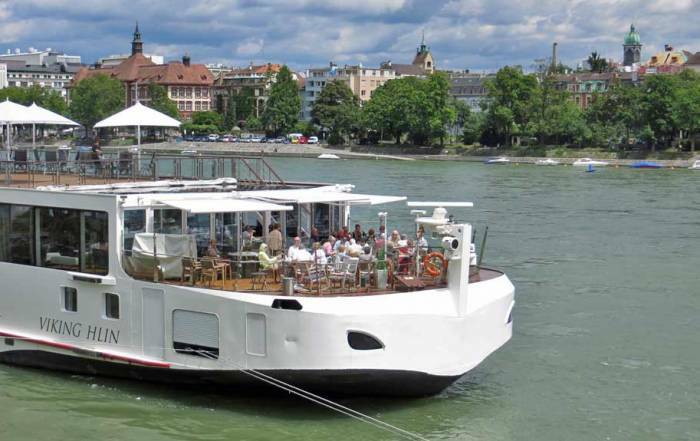 Rent a raft and travel the Vltava River. Try night rafting. Five-Petalled Rose Festival – held at the summer solstice for three days of retro Renaissance. The International Music Festival – July / August. 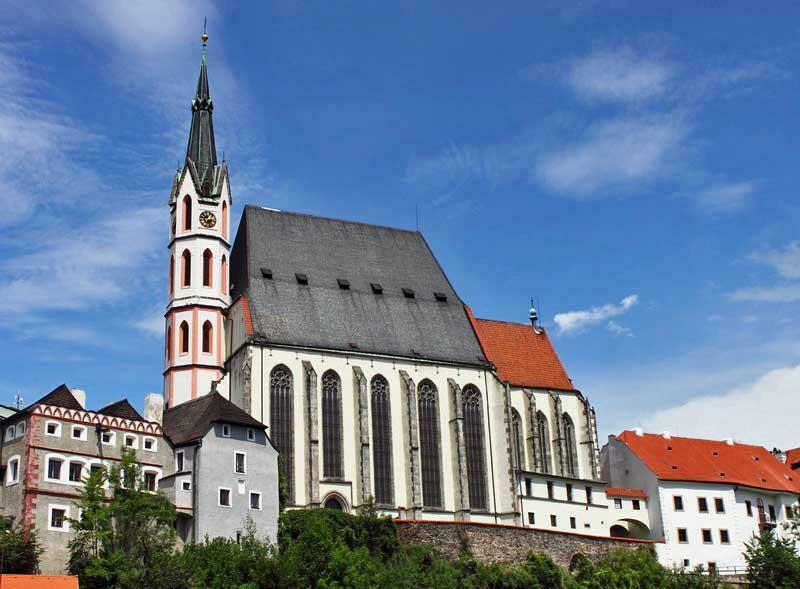 Zlatá Koruna (“The Golden Crown”) – about 10 minutes out of town is one of Bohemia’s oldest monasteries. Hluboka Castle is about a half hour out of town. Lipno Treetop Walkway – about a half hour from Cesky Krumlov. Kleť Mountain and Observatory – about 30 minutes north of town. Krčma v Šatlavské – enjoy a barbecue in the cellar. Cesky Krumlov is not serviced by a major airport, so you will need to use a car, bus or train to get to Cesky Krumlov. 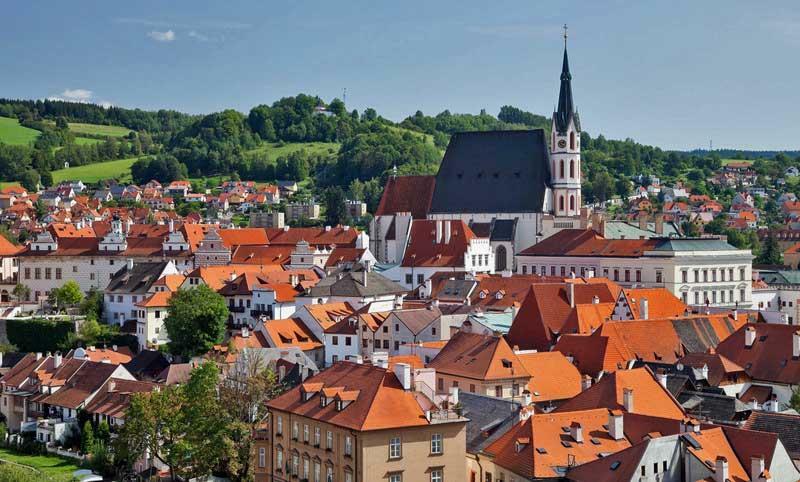 You can reach Cesky Krumlov by bus or train from Prague (3.5 hours), Vienna (4.5 hours) or Passau (5.5 hours). 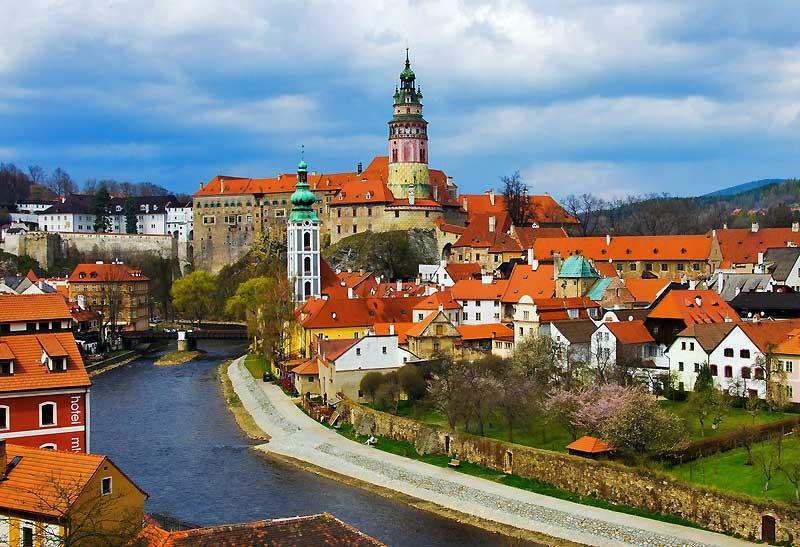 Another option is a Day Trip from Prague or an Overnight Trip from Prague. The train station is a 30 minute walk from Svornosti Square in the Old Town. 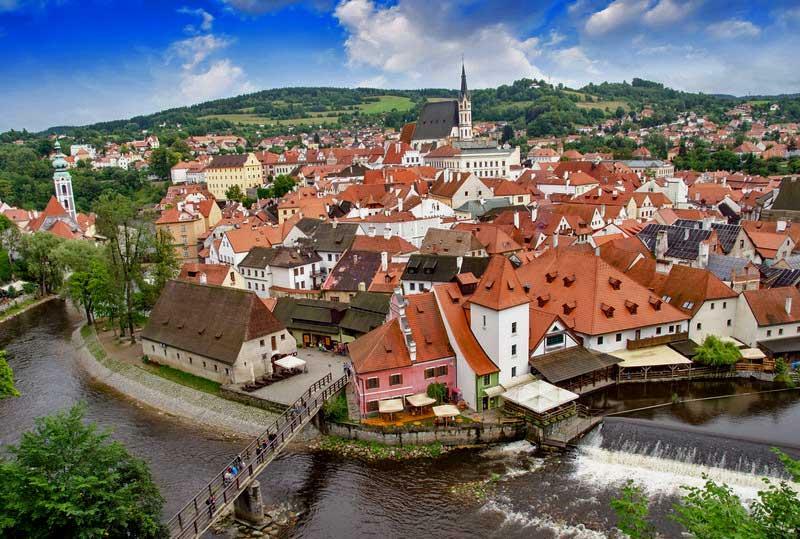 Cesky Krumlov has a continental climate with warm summers and cold, snowy winters. Expect average summer highs from June to September of around 22 C (70 F) and average lows of about 10 C (50 F). In winter, highs are barely above freezing, while lows average about -4 C (25 F). Rainfall is highest in the summer months, while snowfall is heaviest from December to February. 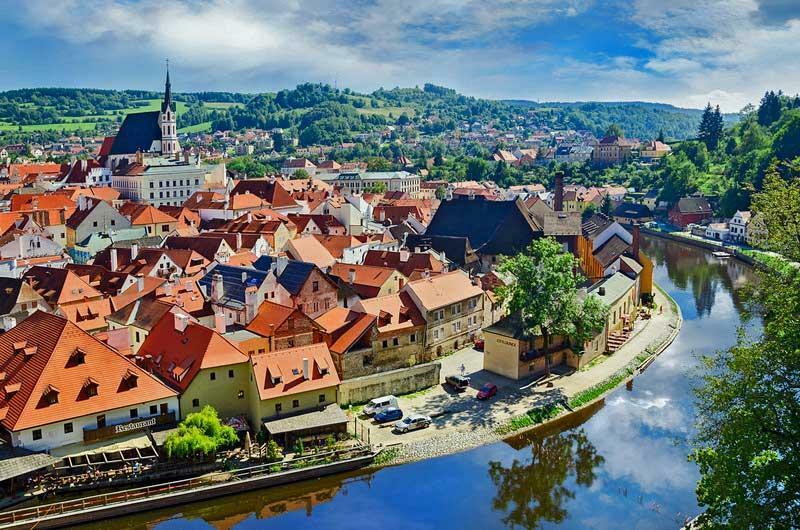 September is a good choice for the best time to visit to Cesky Krumlov. Cesky Krumlov is a small Southern Bohemian town of about 15,000 people. 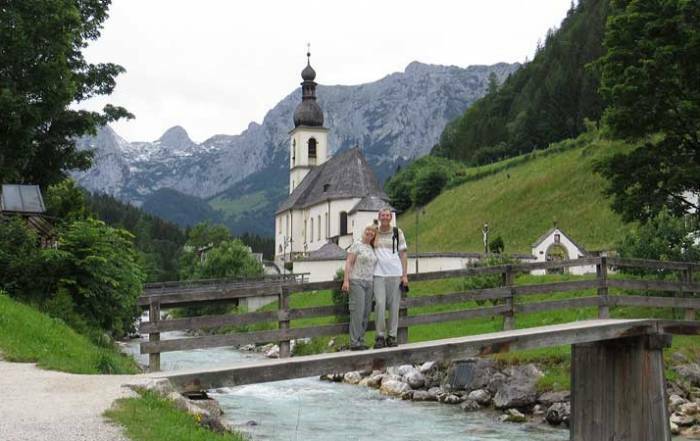 The town has been around since the 1200s. 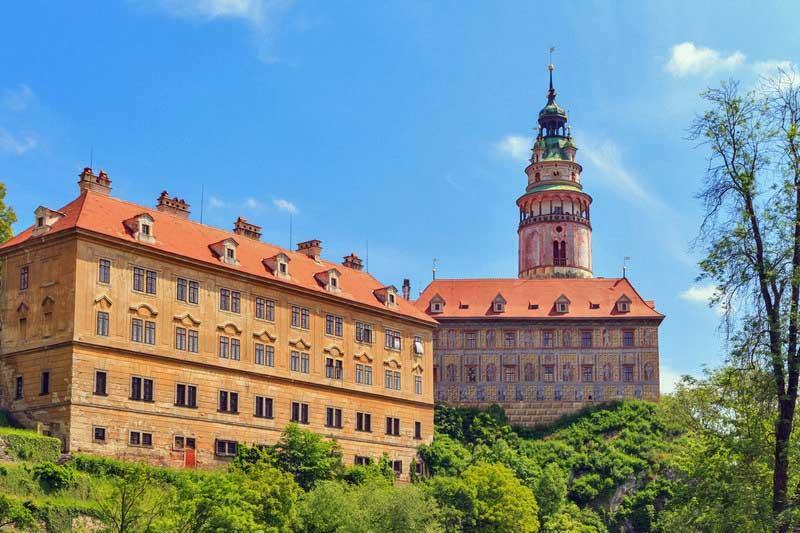 In some ways it is like a miniature version of Prague, with a large castle, a central public square and historical architecture representative of World Heritage Site status. 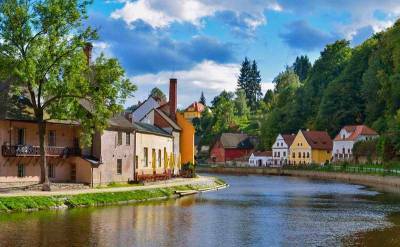 Like Prague, Cesky Krumlov too is located on the banks of the Vltava River, however here the river is much smaller. The Vltava River meanders in tight curves around the heart of the town. In the past there has been friction in this area between the Germans and Czechs. Cesky Krumlov is a popular tourist destination for its small town traditional charm. The town has many cafes and hotels to offer its visitors.